If you follow me on Instagram @kwstell, you may know that I traveled to Asia in the last couple of weeks. I'm not big on purchasing junk when I travel, but I had to pick up some chopsticks. 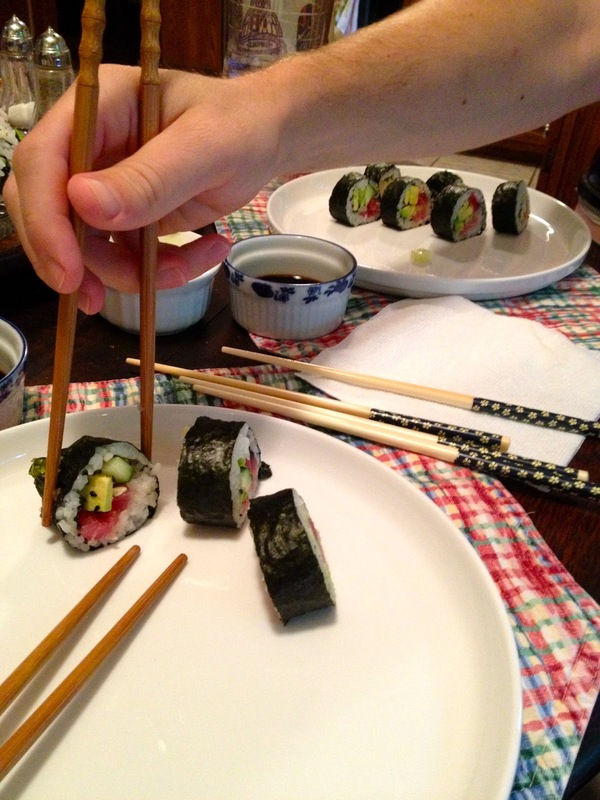 And those new chopsticks called for homemade sushi! 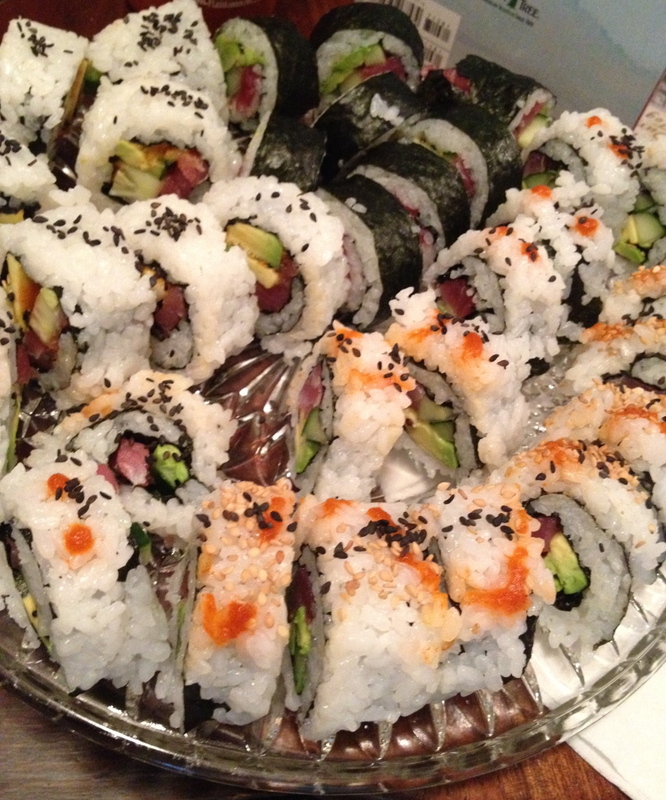 I have enjoyed making sushi at home ever since some friends taught me their ways a few months ago. I find this website helpful for getting you organized to make sushi; I go to this page every time to get the sushi rice directions. 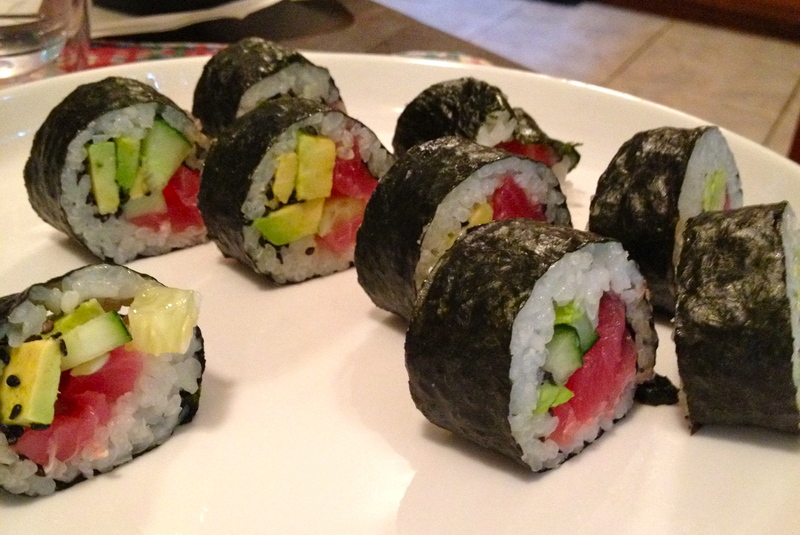 Tuna, avocado, and cucumber are my favorite sushi ingredients; I am boring and make all of the rolls with the same fillings. I use white and black sesame seeds and sriracha to add flavor. It is a little trickier to make rolls with rice on the outside, but I like them better. B taught me how to use chopsticks after I started feeling like I was embarrassing him by always asking for forks at sushi restaurants. I was very thankful for my chopstick skills when they were the only option at all meals out in Asia! Have you ever made sushi at home? Any tips for making sushi or using chopsticks?